Group Classes or Personal-Training Sessions for One or Two. 3 Great Options to Choose From! May purchase 1 Certificate! May Purchase 1 addt'l as a Gift! This is a perfect time to start into a new fitness routine – and at Laura’s Dance & Fitness on New York Avenue in Huntington, doing so is not only easy, but fun. Their group fitness classes and personal training sessions are designed to motivate and pump you up – learn new moves, burn fat and calories, strengthen your muscles, and have a blast in this inspiring and upbeat environment. Laura’s Dance & Fitness is offering a two-part offer for our members – pick the plan that works best for your schedule, goals, and needs, and watch your body transform before your eyes. There’s never been a better time or method for getting in shape. You’ll love the upbeat and attentive training staff at Laura’s Dance & Fitness, where everyone feels welcome. You’ll be motivated while learning new tips for a stronger and healthier you. Don’t fall into a summer slump – pump yourself up now and stay on track for a fit and healthful season ahead. No more boring treadmill routine or ho-hum circuit training. 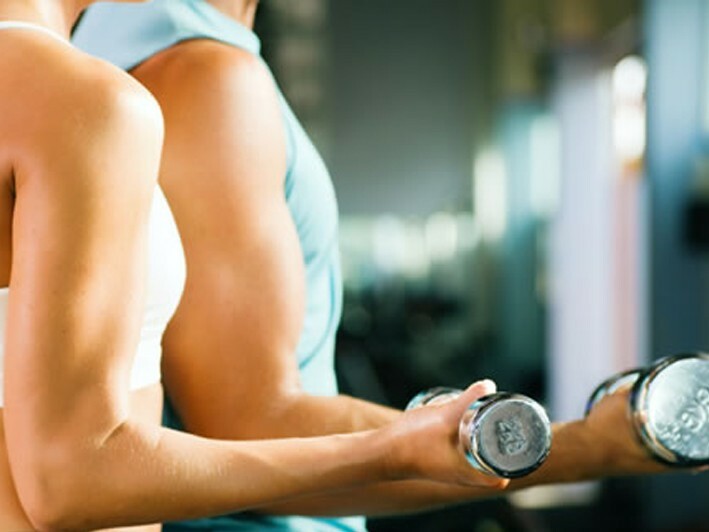 At Laura’s getting fit is all about the experience and they’ll make it a good one for you. Laura's Dance & Fitness Studio, LLC is owned and operated by Laura Marciano.